I have long been a hater of Bluetooth headsets so it was with much shock to my system when I actually came across one which did what it was supposed to do, did it well and didn’t make me look like the borg from Star Trek. 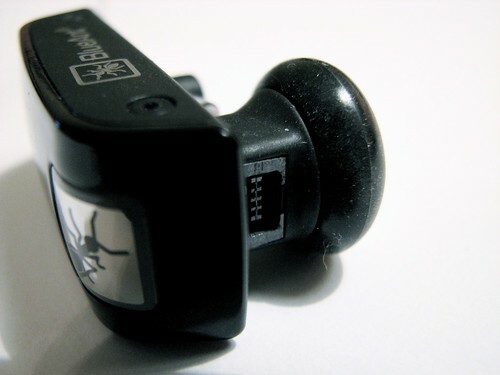 These past few weeks I have been using the BlueAnt Z9 Bluetooth headset, a discrete yet highly sophisticated piece of kit that fits comfortably in to my ear. The Z9 excelled at speech clarity with its dual microphone and voice isolation built straight in to this miniscule device. Whilst using the Z9, I have been asking people on the other end of the line to tell me how clear my voice using the handset and the Z9 and every time the latter beat out using the handset. To test out the voice isolation technology and the benefits that a dual microphone set up was meant to offer I tested the Z9 whilst travelling on the motorway. It’s often impossible to hear anyone when they are on the road unless they have a decent headset. Since it’s illegal to use your handset (at least in the UK it is) whilst driving and speakerphone is next to useless, the only option you really have is to use a handsfree kit, preferably a Bluetooth one unless you’ve been living under a rock or your phone doesn’t have Bluetooth (in which case you need to get a new phone!). I am glad to report that the call was a success with me being able to hear the other person clearly and the other person was able to hear what I was saying. Whilst the voice isolation wasn’t able to reduce all of the background noise, it was able to minimise it to just a ‘whooshing’ noise (or so I’m told). The rectangular shaped Bluetooth headset is cleverly designed with a large multi-function power button that also doubles up as the blue on light, red when charging and purple when switched on and charging. 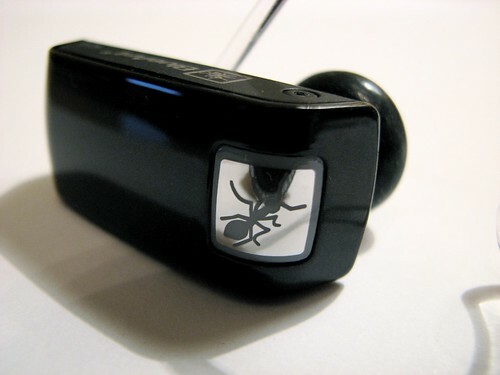 The silver button looks to be a part of the design with the BlueAnt logo prominently displayed but it also allow you to ‘feel’ for it when it’s in your ear and it works well enough that you shouldn’t ever need to remove it from your ear to find it. When you’re not in a call, this button will activate the voice recognition on a compatible phone (such as my K800i), which is extremely handy especially when it’s not convenient to reach for your phone. It works as you expect it to, and providing your phone has decent voice recognition and you’ve pre-programmed your numbers for it then this could save you a lot of hassle whilst driving. Once you’ve activated the call, you don’t hear the ringing noise. If your call is connected the next thing you will hear after silence is the person you’ve called. This can be a good or bad thing. I love it because I don’t have to hear that terrible ringing noise, but it’s also bad because you don’t know if you’ve actually placed the call or not. Right behind the ear bud is the tiny connector for the included mains adapter. This also doubles as the USB connection for connecting up to your computer for firmware upgrades or charging through your computer. I still question why you would ever need to upgrade the firmware on a device but it’s nice to know it can! In terms of fit and comfort on my ear, I found it to be very secure from lying down, sitting down to walking around. I found the earpiece on its own to be too big and whilst it fit and stayed in, it didn’t feel secure without the extra ear clip attachment. 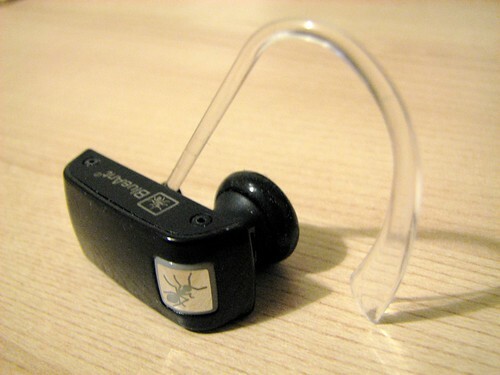 The ear clip can be removed and it can also be swapped over to work in the other ear. With the see through ear holder attached, the Z9 feels secure enough that you don’t have to worry about it ever falling out. The battery life is rated at five and a half hours, which is ample talking time and this is thanks to the lithium polymer battery – an improvement on the usual lithium ion batteries that are built in to Bluetooth headsets. From flat, the battery charges up in about one and a half hours. Another feature that is included in the Z9 is handy for those who have multiple Bluetooth devices that you want to use it with such as your phone and then your laptop. The Z9 allows you to switch between devices with the ability to pair up to three devices. 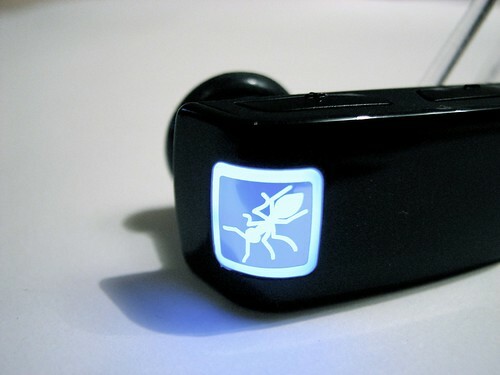 Simply push the two volume buttons on the headset which will disconnect you from your current device then hit the silver BlueAnt button once, twice or three times (each number representing the device you’ve paired to). Definitely a handy feature for those who need to switch between devices, but personally for me I only own one phone but I can imagine the many of you who have a personal and business phone may want to take advantage of this feature. BlueAnt have excelled with the Z9 and I thoroughly recommend this as a useful accessory for any Bluetooth enabled phone. The Z9 features a compact design that is lightweight and fits securely on to either ear. A decent battery life and the ability to charge via mains and USB is a bonus for the frequent traveller. Combine all that with the excellent sound quality and voice isolation facility and you’ve got yourself the perfect recipe for a Bluetooth headset that does what it says on the tin and doesn’t make you look like a douchebag.